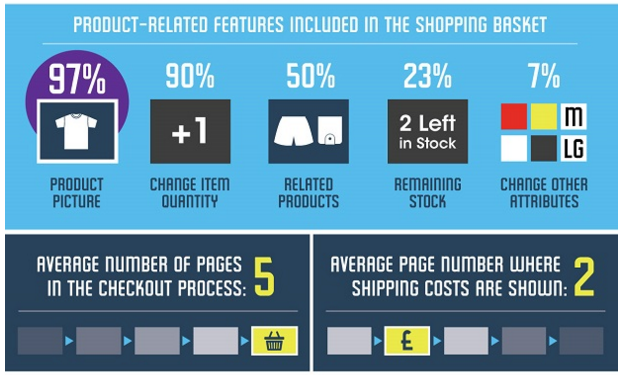 The average documented online shopping cart abandonment rate is 68.63%. Below are the top 7 ways to lose sales and alienate potential customers – and some suggested fixes. Even if you offer the best quality and value on the market, and the rest of your site is a dream to navigate, you’ll fall at the final hurdle unless your checkout process is secure, and quick and simple to use. Research by marketing software provider, Bronto (illustrated below), found that the average checkout process is 5 pages long. You can investigate your goal funnel web traffic data and look into areas in which you can improve your conversion rates. Some questions you may want to ask when looking at this data is, “are you asking for too much personal information at such an early stage of the buying cycle?” “Are there too many steps within the payment process?” and “Can my potential new customers purchase easily via guest checkout?”. You could also consider implementing a step-indicator, which gives customers a clear view of their progress. To you and your colleagues, the journey a customer should take through your site to complete a sale may be blindingly obvious – but that’s because you’re intimately familiar with it (you may even have designed it). However, customers need more direction and, yes, encouragement to take the action you want them to. To your visitors, an eCommerce site with poor CTAs is like being sent on a scavenger hunt with no clues – they’ll simply lose interest and find something else to do. Testing different colours, placements and copy for your CTA buttons is a good place to try running A/B user tests as part of a CRO (conversion rate optimisation) strategy. Customers expect to be able to find what they’re looking for quickly and easily. It’s good practice to make your site search box stand out, ensure it can handle long tail semantic searches and enable autocomplete (customers who land on an autocomplete page suggestion are six times more likely to convert than those who don’t). The design of your eCommerce website’s navigation bar can be critical to the experience of your online visitors, and small tweaks to the design of your navigation layout may dramatically increase your conversion rate. Indeed, Econsultancy observe one particular instance where an online kilt retailer added simple filtering options to their navigation bar and saw an increase in conversions of 26% as a result. To create an intuitive navigation bar, pin-point the main options on your website and make sure that each one is listed as a category. For example, if you are an online clothes retailer, ensure that your customers have the option to narrow their search down through factors such as price, brand, material and colour. 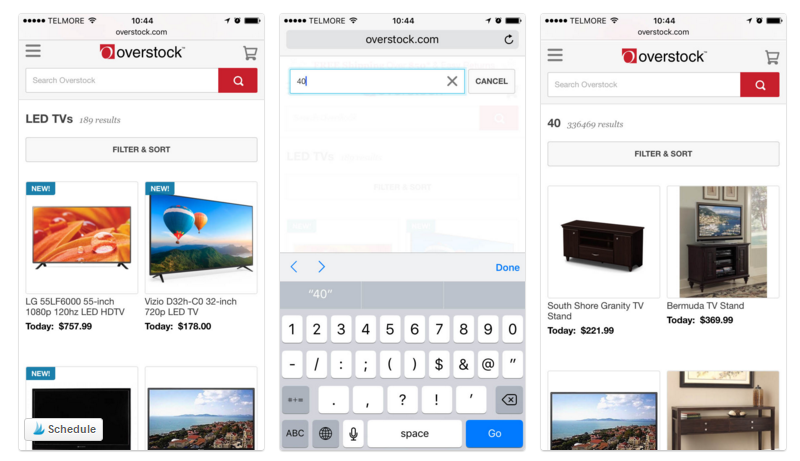 A similar study found that the ability to closely inspect the quality or aesthetics of a product has a huge influence on a user’s purchasing decision, particularly in industries such as fashion, art, furnishings, consumer electronics etc, but 40% of mobile retail sites don’t support pinch or tap gestures to allow users to zoom in on product images. These are worrying stats, given that UK consumers are predicted to spend £53.6 billion a year using their smartphones and tablets by 2024. There’s more information on mobile marketing in this blog. 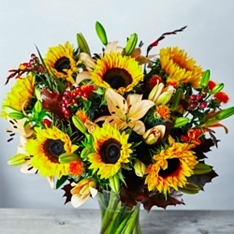 Clearly display your contact details, including phone number, email address and social media buttons, and ensure you respond promptly to queries. You might also consider adding live chat to your online store: 31% of online shoppers from both the US and UK say they’d be more likely to purchase after a live chat. All is not lost if you lose a sale – it’s possible to re-engage with a customer and entice them back to your site to complete their transaction. Two methods that work well to remind customers what they’re missing include: remarketing, where you target users with ads for items in which they’ve shown interest; or an automated abandoned basket message (either of which could include an added incentive, such as a discount or special offer). Despite research showing that a basket reminder strategy can recover as much as 25% of abandoned revenue, the majority of retailers (59%) don’t employ this strategy. Looking for ways to maximise your revenue as an eCommerce brand? 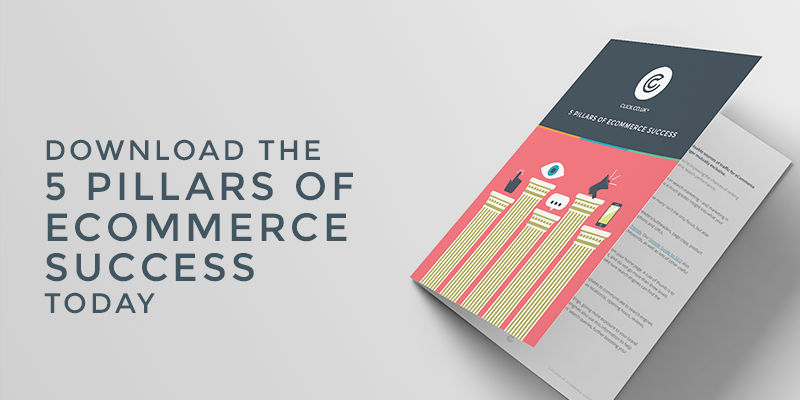 Our eBook ‘5 Pillars of eCommerce’ will equip you with the knowledge you need.